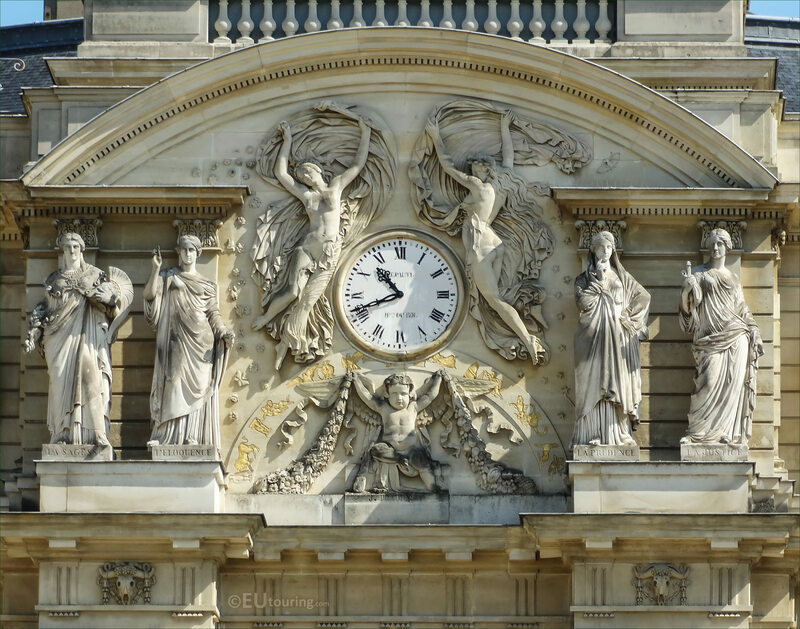 This time we were still admiring the south facade of the Palais du Luxembourg, when we took these high definition photos that show the statue called l'Eloquence, which was sculpted by Jean Jacques Pradier, who is also known as James Pradier. So this first close up HD photo shows the statue called l'Eloquence, which was produced between 1840 and 1841 to adorn the former royal palace, which is now home to the French Senate within the jardin du Luxembourg in the 6th Arrondissement of Paris. 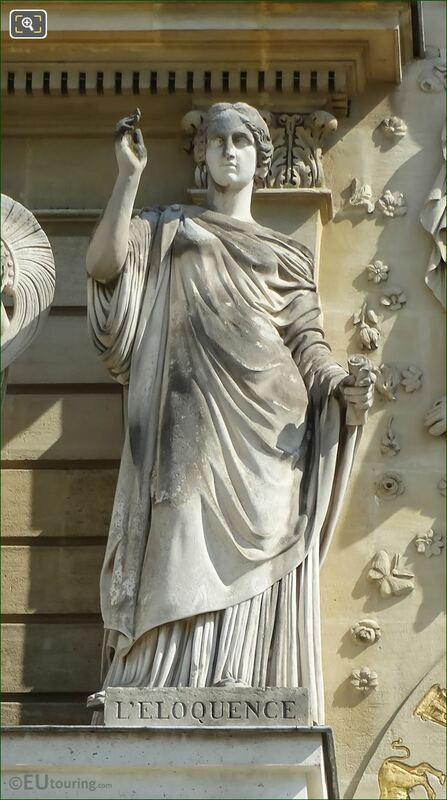 And this was sculpted by James Pradier, who lived in Paris for the majority of his life and worked on numerous different commissions for several tourist attractions around the city, including two of the large statues located at the Place de la Concorde, plus bas reliefs for the Arc de Triomphe. 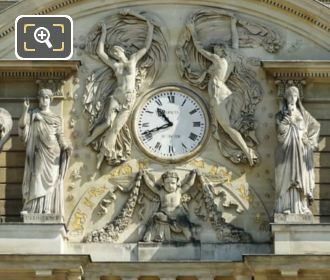 Yet this next photograph shows the complete pediment and top part of the Palais du Luxembourg facade where the L'Eloquence statue is positioned, and this can be seen immediately to the left hand side of the clock, which is surrounded by bas reliefs that this artist also sculpted.